We are a leading Manufacturer of safety chuck, foot mounting safety chuck, base mounting safety chuck, c style safety chuck, wall mounting safety chuck and tilt type safety chuck from Ahmedabad, India. We are engaged in offering superior quality Industrial Safety Chucks to our clients as per their need. 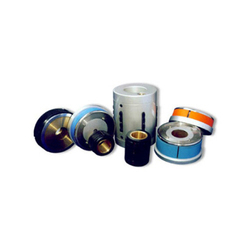 These product find their applications in different types of sectors. One of the most important benefits of these items is that they mostly used for the winding or unwinding requirements and in this way it helps to saving the loading and unloading time. 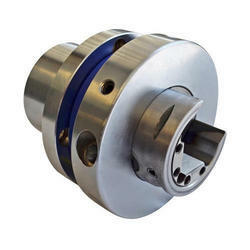 The maintenance-free design ensures optimal performance throughout the life of each safety chuck. Our safety chucks will only open with the socket in the upright position. Available in either foot or flange mounting, these safety chucks complement the dependable line of tension control brakes and clutches, offering you a complete package with seamless installation and operation. Safety chucks are used at winding or unwinding the position. It saves loading/unloading time. As driving mechanism (sprocket) does not need to be removed every time while charging core holding shaft, it gives maintenance free working. Safety chucks runs with total safety due to cam mechanisms. Anar Rub Tech Safety Chucks are renowned all over the world as the synonym industrial safety. Our wide range of safety chucks produced by quality raw materials,our C style Safety Chucks are available in both Pillow Block & Flange Mounting configuration, Suitable for lower speed applications and it’s very economical and available at very affordable price. 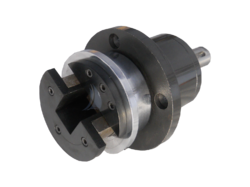 Safety chucks provide roll shaft support and torque transmission at a low cost. The maintenance-free design ensures optimal performance throughout the life of each safety chuck.Our safety chucks will only open with the socket in the upright position. 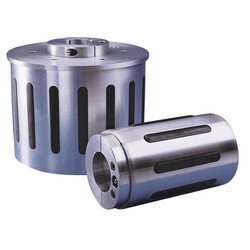 We offer Flange Mounting Safety Chuck to our clients. Diameter Upto 2" to 8"
Our company is highly advanced in the manufacturing and exporting of vast range of Mechanical Chucks. These products are available at different designs and shapes in the market as per the demand of our customers. 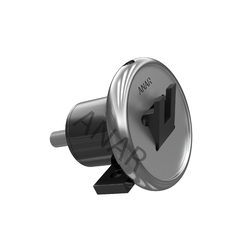 The important feature of these products is that they are spring loaded by which we can expand them in both clockwise as well as in anti-clock wise direction. These products are highly demanded in the market due to the presence of superior quality raw material. The jaws of these products are rubber coated which helps the core ID present in them against damage. These chucks do not require any compressed air to operate. They engage and lock the core without tools or any external operation by the machine operator. When your roll starts to rotate, these chucks automatically engage your core and lock it in place. Ease of installation provides another reason for choosing this solution to core support problems. Simply slip the chuck onto the thru shaft, clamp split bushing to shaft with the set screws provided, load the core and you're ready to run. 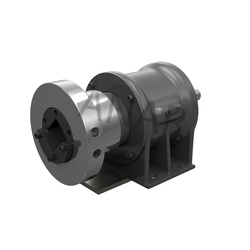 All of our Air Expanding Core Air Chucks are suitable for retrofitting to existing Air Shafts or solid bars, and are used to adapt smaller Airshafts to suit larger cores. They can also be used with a Reelshaft, to create a lightweight alternative option to using Large Air Mandrels.